CHICAGO (WPVI) -- Two Chicago police officers are facing discipline Monday night after posing for a photo taking a knee in what appears to be support for Sunday's NFL players' protest. 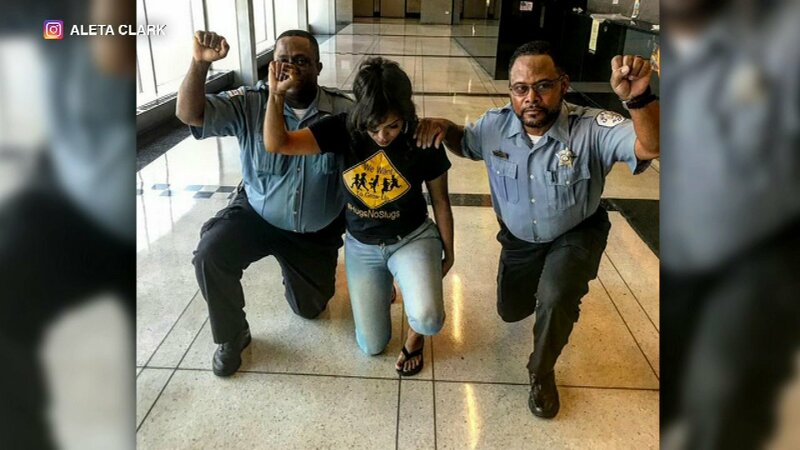 The officers are seen kneeling with a Chicago area activist. According to WLS-TV, the Chicago Police Department said the officers face a reprimand and a reminder of department policies. Those policies forbid officers from making political statements while in uniform and on duty. 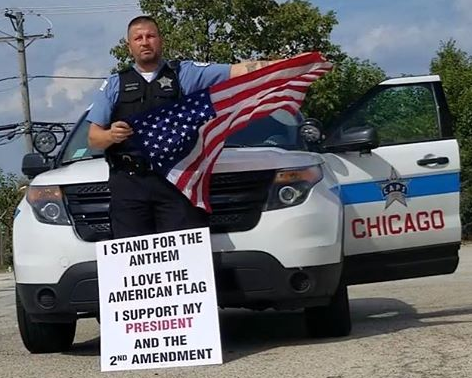 Meanwhile, Chicago Police Officer John Catanzara shared an image on Facebook Tuesday of himself, in uniform standing in front of a squad car, holding an American flag, with a sign leaning against his legs reading: "I stand for the anthem. I love the American flag. I support my president, and the 2nd amendment." So far, no word on if Officer Catanzara will face similar disciplinary action. A Chicago Police officer takes a stand in this pic with the American flag. Colin Kaepernick began kneeling during the national anthem to protest police violence against African Americans and systemic racism. Some NFL players have joined his protest.